Now, it's important for a father to participate when it's time for a parent-teacher conference, but you're still going to feel a little nervous as the student - or, if your father's name is Gendo Ikari, a lot nervous! 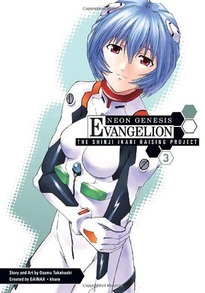 While Shinji's girl troubles continue to be a public spectacle, Kaworu and Ritsuko are going behind his back... straight to SEELE. Story and art by Osamu Takahashi.